Ohio CBD Movement was created in response to the recent Ohio Board of Pharmacy memo regarding the legality of CBD products in the state of Ohio. In August, the Ohio Board of Pharmacy released a statement claiming that the sale and possession of CBD products, regardless if they are derived from hemp or marijuana or considered illegal as “defined” by the States medical marijuana program. However, this program does not have a distinction between hemp-derived CBD or marijuana-derived CBD. A petition is available to sign by following the link below. By signing the petition, you will help keep hemp-based products legal in Ohio and support locally owned CBD businesses. 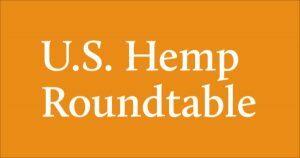 The U.S. Hemp Roundtable was launched in 2017 and is a coalition of dozens of hemp companies. Every aspect of the product chain is represented from growers to retailers as well as the hemp industry’s major national grassroots organizations. Their goals is to secure final passage of Senate Bill 2667 and House Bill 5485, The Hemp Farming Act of 2018. • Facilitating information exchange with law enforcement and federal agency officials. • The seeding and infrastructure development of an independent, self-regulatory organization, including the drafting of regulatory-acceptable specifications and standards. 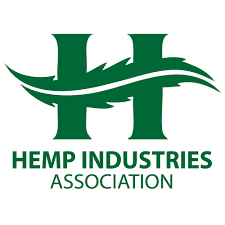 • Continued long-term legislative advocacy on other major policy issues, remaining vigilant against potential attempts of rival industries to halt hemp’s progress. “If you are a resident of, or business owner in, Ohio, please CLICK HERE to sign a petition that encourages state lawmakers to support legislation that will ensure that hemp-derived CBD can be sold in Ohio retail outlets. • Educate the public about the exceptional attributes of hemp products. • Facilitate the exchange of information and technology between hemp agriculturists, processors, manufacturers, distributors and retailers. • Maintain and defend the integrity of hemp products. • Advocate and support socially responsible and environmentally sound business practices. The non-profit National Hemp Association’s mission is “to support the growth and development of all aspects of the industrial hemp industry.” They coordinate legislation, agricultural organizations, farmers, processors, manufacturers and retailers. • Educating and informing the public about the health, environmental, and economic benefits of reviving the hemp industry. • Build a community of individuals, businesses and organizations to facilitate the growth of the industry.